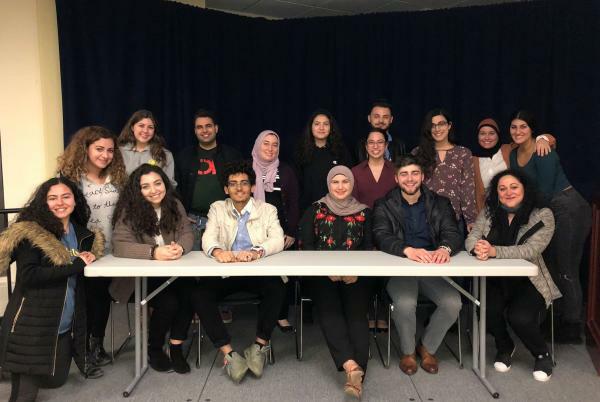 The Islamophobia Working Group (IWG) was assembled in January 2016 to address the national crisis of Islamophobia and its impact on our campus community. We -- a group of faculty, staff, and students -- have become actively involved in the University’s strategic plan for Diversity, Equity, and Inclusion and gained visibility across the university. For over two years, the IWG has been run through the Arab and Muslim American Studies Program in American Culture; starting in Fall 2018, the IWG will be co-led by AMAS and CMENAS. Our work is driven by issues brought to the group by any student, staff, or faculty member. The group strategizes as a collective to figure out the best approach to a given issue. Thus, if you encounter a pertinent issue, we want to know about it and we welcome your participation in the group. If you would like to join our email list or come to a meeting, please contact Professor Samer Ali (samerali@umich.edu), or IWG student coordinator, Silan Fadlallah (silanf@umich.edu).